Easter Sunday last year, my cousin and her daughter showed up with magical, matching hair pieces. 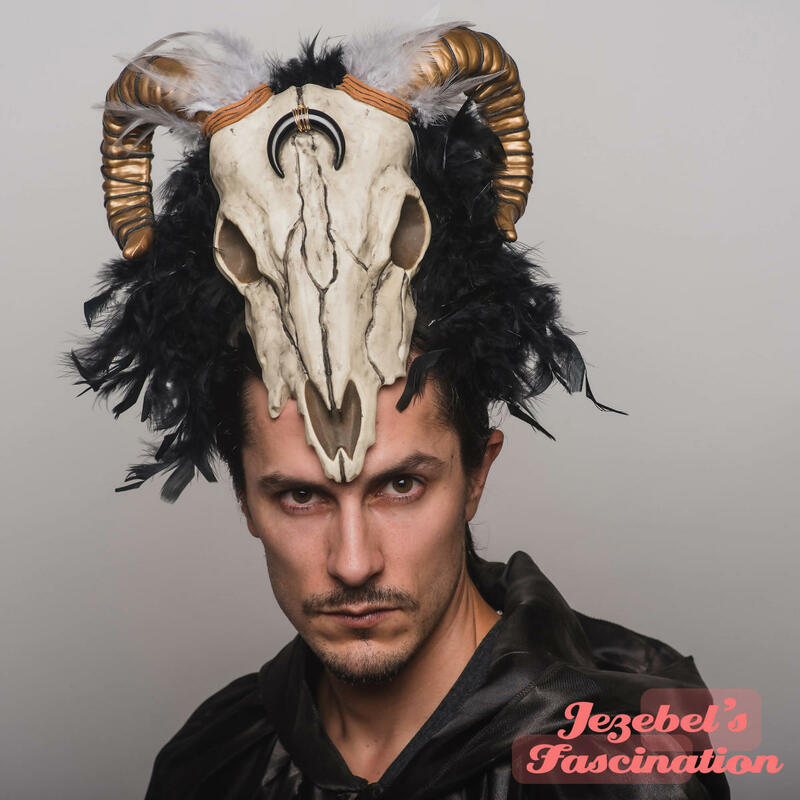 That was my first encounter with the work of Jezebel’s Fascination. This mysterious mini-milliner started her business because her head was too small for the lovely hats in the stores. So she created her own fascinators. Check out her website for a diverse range of creative headpieces; from wedding day veils to classic Kentucky Derby hats, her creations offer costumery headwear for any occasion. I am making final decisions on my Halloween costume, based solely on the fascinator I will have Jezebel create. The start of my life with Lafayette began with my studies at the University of Louisiana at Lafayette, and now I consider it my home and artistic base. The little bit of spare time I have is spent taking advantage of the food, drink, and festivals Lafayette offers. Most of the inspiration for my work comes from all our southern swampy environment has to offer, the colloquial wildlife, insects, and vegetation. The rich cultural backgrounds in the area, especially the French influence, local voodoo, and Native American heritage also play a huge role, as I am hugely interested in learning of many cultures and am guilty of acculturation. A perfect day for me starts with brunch with friends at a local cafe, then perhaps shopping at a few locally owned stores. Next, we head downtown for drinks and early dinner at one of our many favorite restaurants and head out onto the street for Artwalk to catch all of the local talent! Lafayette offers many festivals throughout the year, from cultural to fantastical that are the perfect opportunity for artists to vend their work and/or don their wearable art. The local businesses and organizations located in the downtown area also open their doors to local artists to showcase their work and for patrons to view during the monthly Artwalk exhibit. How did you become a creative professional? Simply put, I love hats, but my small head does not allow for me to wear them. 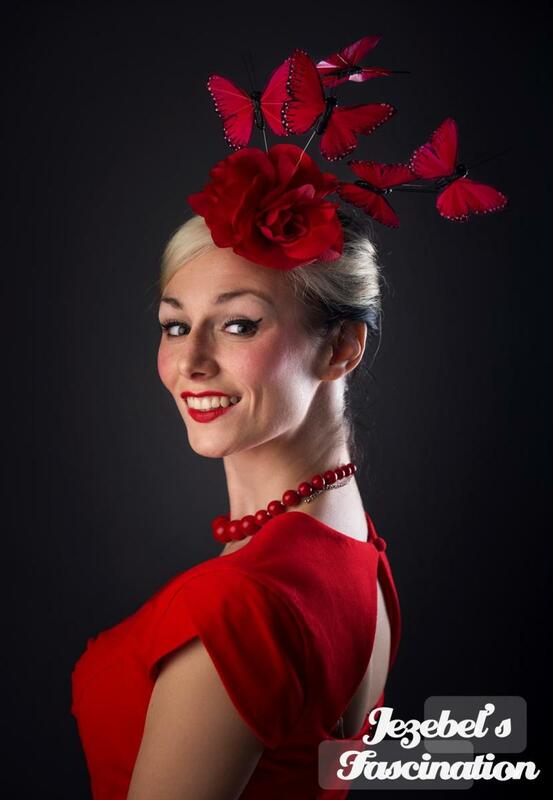 That’s why I started making fascinators! 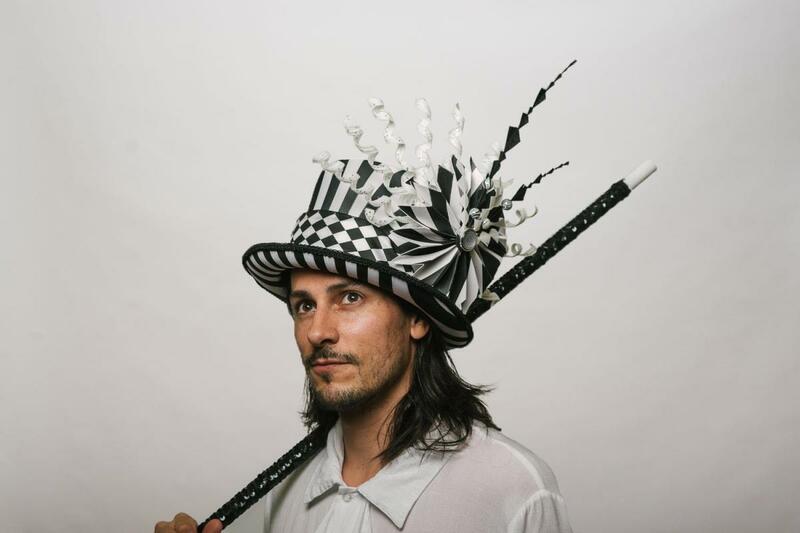 To me, they are like whimsical cocktails hats; I make one to match nearly every outfit I wear. Also, whether it be for costumed events, theater, or Halloween, I love costuming! Dressing up in costume is the ability to fulfill a fantasy to portray a character the way we see them. 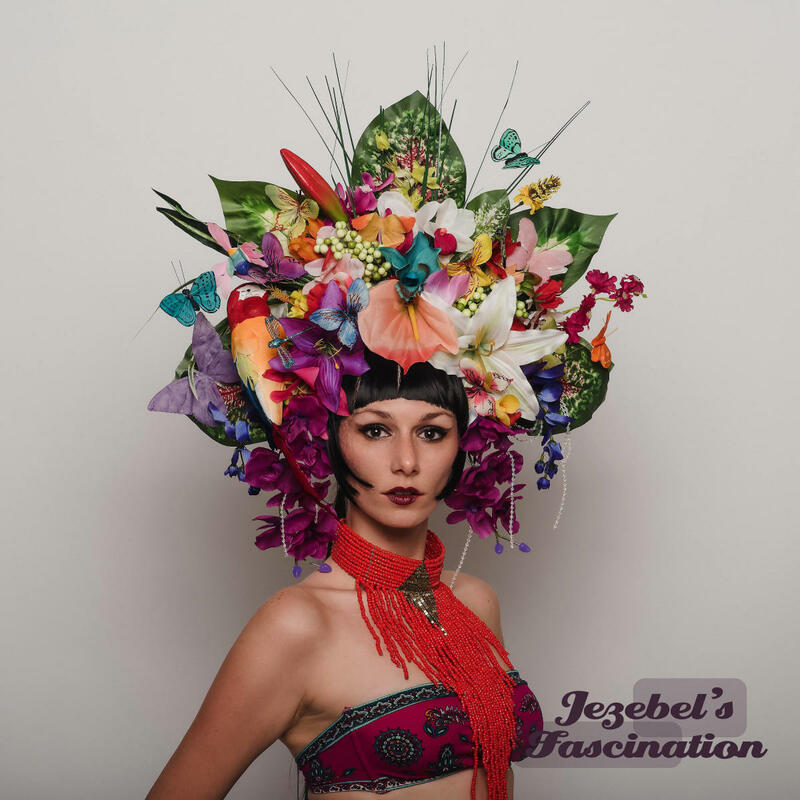 Jezebel makes the most of her Lafayette lifestyle, ascribing to the belief that “You can never be overdressed or overeducated.” To see more of her work, look online and, if you’re lucky, you might catch her vending at a local event.